Established since 1995, One Stop Sign Shop was originally founded under the name iDesign by one Justin Micheal Carter. Based in Aberdare town center initially iDesign struggled to find its path. After a few years the company was uprooted to a nearby location in Aberaman where it would spend the next 18 years of its life. This is by far the most well known location and where one stop achieved the goals of its owner. However after 18 years of operation, The technology along with Justin’s appreciation for the job faded and the shop became more of a limit to workflow and staff levels than was appreciable. With a full team of only 3 people and a fairly small workshop One Stop Sign Shop had to start turning away work simply because it could not handle the amount of requests it was acquiring. This led to further dismay and the start of a reputation hit, at this point One Stop was sold off. Mr Carter then hung up his squeegee and tape measure and moved on to pastures new. 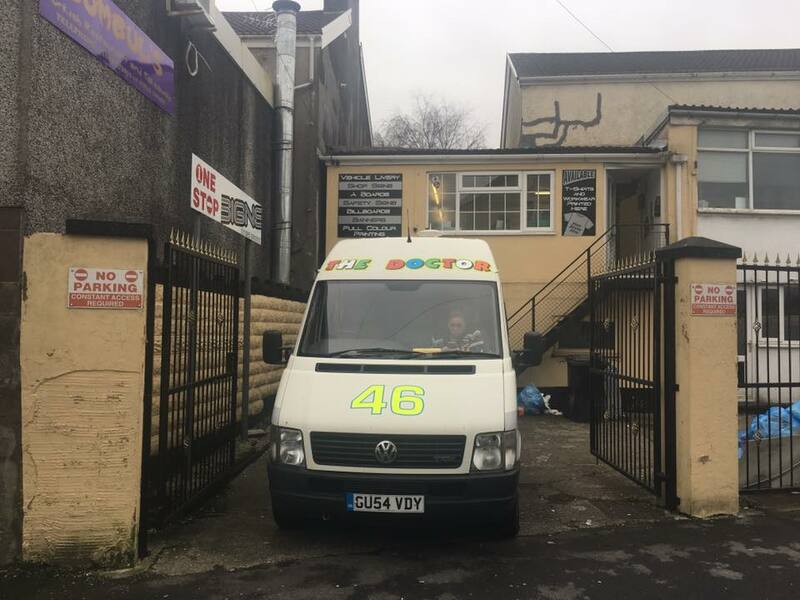 One stop was Acquired by the owners of the T101 Group in Aberdare who not only brought large investment, but up scaled the premises to a factory unit in nearby Cwmbach and increased the companies staff levels allowing work to flow freely without its previous bottlenecks. 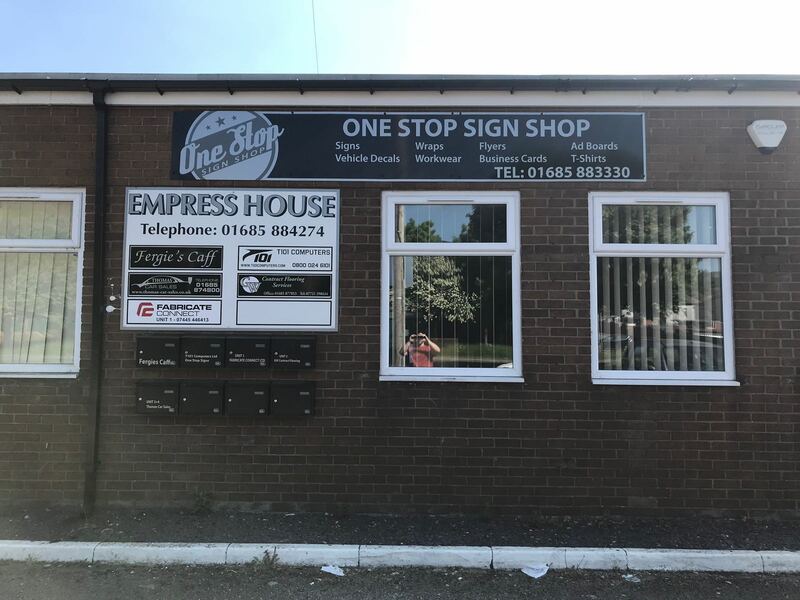 At the point of writing this, One Stop has been operating for 23 years and is reaching further to provide you with a larger range of products than ever imagined. For 18 years, This was the home of One Stop. Our new home as of 2017.